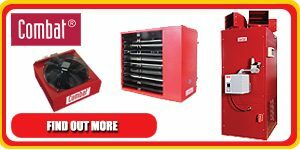 We supply, install and maintain the entire range of industry leading Powrmatic, Combat & Stokvis industrial heating equipment, throughout the South of England, Midlands, Greater London and East Anglia. 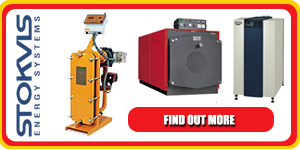 Powrmatic One of the leading names in the manufacture of industrial warm air heating, radiant heating and boiler based products to meet the needs of almost any building. A comprehensive range providing exacting solutions, from single heater projects through to more complex multi heater/multi zone installations. Powrmatic equipment optimises comfort levels with ease, ensuring exceptional reliability and real value. Combat Heating Systems Combat HVAC Limited utilise only Safe Contractor registered engineers, to ensure the safety and reliability of your industrial and commercial heating equipment. Stokvis Energy Systems Manufacturers of a wide variety of ‘state of the art’ Boiler Plant, Plate Heat Exchangers, Pressure Sets, Booster Sets and Solar Thermal Systems. Stokvis installations can be found in many of the worlds most prestigious buildings, underpinned by 30 years of manufacturing reliable, well-respected heating systems. 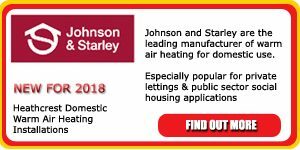 Heathcrest Heating now install and maintain Johnson & Starley, award winning, warm air heating systems, in many parts of Buckinghamshire, Berkshire, Hertfordshire, Oxfordshire and West of London areas. These include QuanTec gas boilers with PFGHR (passive flue gas heat recovery) and the new WarmCair range of high efficiency condensing Warm Air Heaters, available with or without (DHW) Domestic Hot Water capability and are suitable for both domestic and many commercial applications. For a free consultation on domestic warm air heating or to receive advice on upgrading or maintaining your current heating system just complete a contact form. Call now on 01494 771211 or use our email form and we will contact you when convenient to you. We have a wealth of experience in maintaining and supplying a wide range of other manufacturers systems, including legacy/obsolete equipment. We also supply gas fired radiant tube heaters, oil fired unit heaters, destratification fans and gas or oil fired conventional Sime boilers to name but a few. 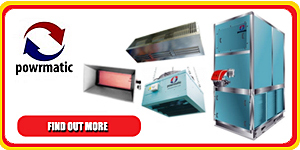 We can also provide a comprehensive maintenance and repair service for legacy/obsolete models of cabinet heaters (CA & CP) and unit heaters (PUGH & Euromatic). For a more comprehensive list of manufacturers see our Equipment & Parts information. Heathcrest Heating also install and maintain Certikin, high quality, hugely reliable swimming pool heating systems. Including the highly successful Genie range of Condensing Pool Heaters that produce exceptional economy and reliability. 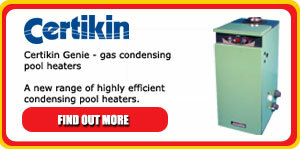 Certikin’s EconoTherm heat exchangers and UniTherm Plus system, are designed to last longer and deliver more heat to your pool or spa water, for each unit of fuel, than any other alternative products on the market. For a free consultation on pool heating or to receive advice on upgrading or maintaining your pool heating complete a contact form. 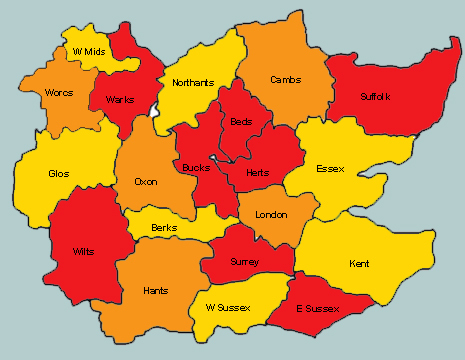 Heathcrest Heating Ltd serve London, the East of England, the Home Counties and the Midlands. 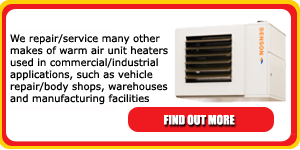 We are your local experts for Commercial Heating, Energy Management, Factory Heating, Warehouse Heating, Office Heating, Church Heating, Nursing Home Heating, Radiant Heating, Heating Engineers, Heating Maintenance, Gas Burners, Oil Burners, Warm Air Heating, Energy Conservation, Heating Design Service, Commercial Gas Engineers.